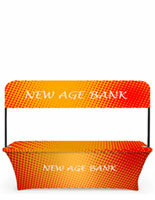 1-2 Color custom header displays your company's logo. Portable display turns into compact carrying case that protects display contents. 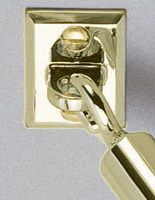 (2) Halogen lights draw focus towards specific parts of board. A portable display that has everything you need in one package! The Table-Topper will set up in less than a minute. The clean up is also very simple with this portable display. No cases or padding materials to put away afterwards! 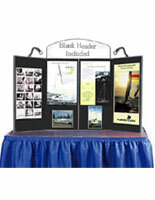 This portable display measures 74" x 36", weighs 36lbs and has hook and loop ready fabrics. 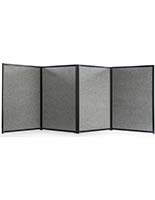 These fabrics are designed to accept graphics and hook-and-loop acrylic pockets (shown below). 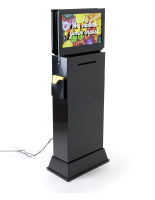 This portable display contains almost everything necessary to create a winning trade show booth. 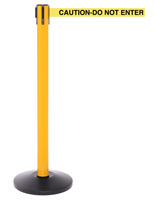 Each unit comes with (2)120v-50w halogen lights with 7' cords. 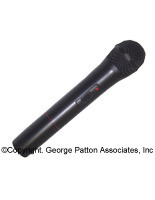 The lights allow users to put the focus on specific areas of the portable display. Molded in storage compartments for literature and stick-on hook and loop dots are also included. The touch fastener dots adhere to the back of the graphics for mounting on this portable display. The mounting process is very simple. The portable display panels are designed to lock together, creating an exterior protective shell, eliminating the need for carrying cases. The unit can be folded up and locked to secure your graphics while left unattended at the exhibit hall. Custom headers can be printed for this portable display. Please Note: White background only on the header, standard vinyl colors available for text. 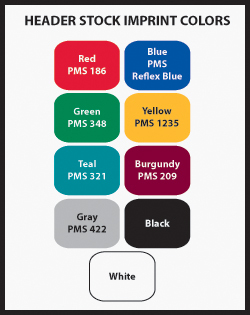 Click here to view color choices. Be sure to note your custom text and color choice in the "Special Notes" section of our order form.